Join one of the best Dota 2 communities and share hero guides, strategy ideas, streams and more! Hey everyone! 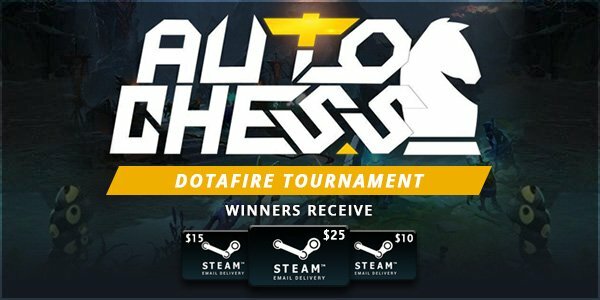 We're happy to announce our third tournament dedicated to the most popular custom game, DotA Auto Chess! More information on prizes, rules and how the tournament will be played can be found below. Registrations are open starting from today (March 29th) and will end Sunday (March 31st). The tournament will begin Sunday (March 31st) at 18:00 CEST / 09:00 PDT. Masked_Man98 : " Welcome to wraeclast exiles... wrong page "
April 22, 2019 in: Welcome New DOTAFire Admins! 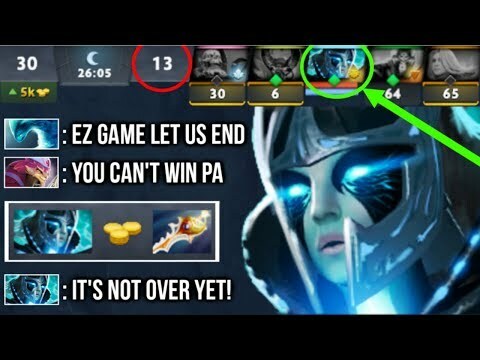 Dota Inside : " new cancer build veil + kaya + 300 blast off damage = boom! suicide quad... "
Dota Inside : " new build max speed bash skull basher + focus fire windranger by qupe... "
Dota Inside : " Dota 2 Pro Gameplays & Highlights "
DarkCrusnik : " i like it, it looks amazing "
Hades4u : " Hello everyone! Here are the matches for today's tournament: Match... "
MaZaFacker : " https://steamcommunity.com/id/ManoleLopataru/ "
Kyfoid : " Talism of Evasion 15% Evasion and -15% armor loss And.... + 15 %... "
gujaod22cm : " https://steamcommunity.com/id/jednamalabajka/ "
straudinus : " https://steamcommunity.com/id/asuspiciousguy "